I am in possession of two splendid volumes, bestowed upon me by the authors, who are friends of mine. The Minneapolis-focused books have qualities in common. They extol particular areas of the city, and do so with gorgeous photography along with the written word. These books are gems. You will want to buy them. 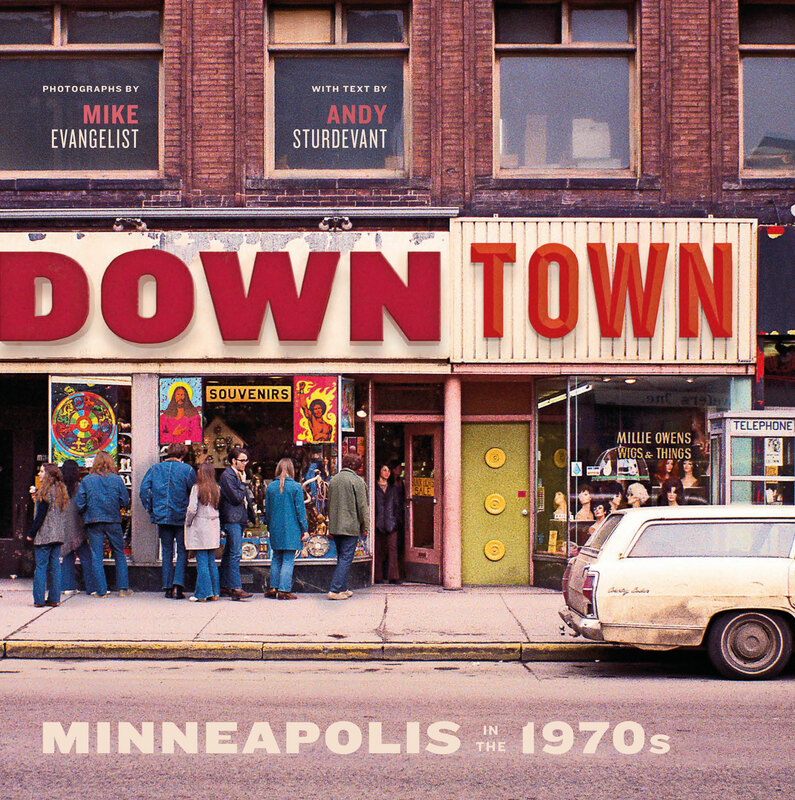 One of these fine books, “Downtown: Minneapolis in the 1970s,” is brand new, and collects amazing photos Mike Evangelist took during that time period. Published by the Minnesota Historical Society Press, this coffee-table book contains text by Andy Sturdevant, and props from the likes of former TV anchor Don Shelby, and former Minneapolis mayor R.T. Rybak. The volume is fascinating to me because it predates my Twin Cities presence, which started in the late 1980s. It will be even more appealing to Twin Citians who lived during this period. You can order Mike’s book on Amazon.com or the Historical Society’s site. A related exhibition kicks off Nov. 12 with a reception at the Mill City Museum. I joined the page sometime last year, and one of the things I’d see regularly was a series of street photographs, taken in the late 1960s and early ’70s by the same person. They were artful images of people and places, mostly around downtown Minneapolis. Each one had a small credit on the bottom left hand side of the photo: © Mike Evangelist. They they were all of a very high quality, and clearly hadn’t appeared anywhere else in print, so I was excited to see more of them – I figured it wouldn’t be too difficult to track Mike Evangelist down. And it certainly was easy enough. Mike Evangelist still lives in the Twin Cities, is still an enthusiastic photographer, and has worked in technology for more than two decades, including a multiyear stint with Apple as director of product marketing at the time they were introducing the iPod. But before all of that, he was a teenage kid taking the bus from the northern suburbs downtown to his job in the post office, and bringing a camera along with him to take photos of the people and sights around him. 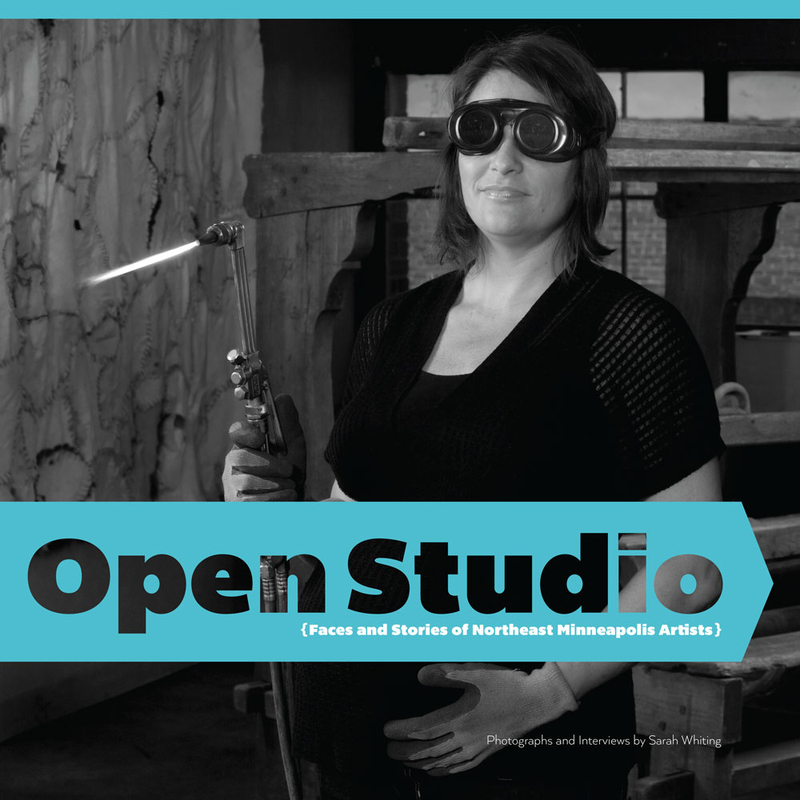 The other book is “Open Studio: Faces and Stories of Northeast Minneapolis Artists” by Sarah Whiting. This volume is a marvel of beauty and simplicity. 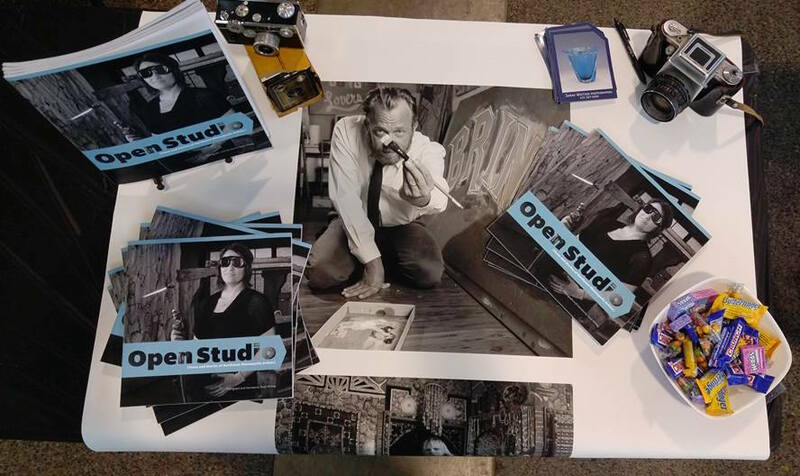 Open it anywhere, and you’ll find a gorgeous black-and-white photo of a NE artist on the left, and the voice of that artist via several paragraphs of first-person musings on the right. Sarah took the photos, and immortalized the artists’ own words. There are 28 artist profiles, in all. I was the youngest of six kids who were always yelling and squawking. As long as I sat there and did my drawings, there was no trouble. But I’m a lefty and as such I’ve always had bad handwriting. I was kept after school in sixth grade to practice writing letters over and over again. I found I enjoyed that. I liked practicing my letter shapes and the calm after the craziness of the school day. I like Comic Sans because it is a font that can walk into a room and make people roll their eyes and scoff before it’s said a word. Comic Sans is goofy. It’s got a wobble to it; it’s a little bit drunk. But it vaulted into superstar status because of its placement in Microsoft Word. My font Tenderloin looks best when it’s fifteen feet tall. It’s a rare two-color font, meant to be in San Francisco’s Tenderloin district, where Ben Eine was painting murals. It’s pointy, it’s prickly, it’s standoffish, there’s lots of barbs; but it’s got big drop shadows, which I see as echoes. Like yelling into a canyon and it’s combing back at you, sparks flying in your face. Sarah’s book was published just under a year ago and supplies are now dwindling. She’ll be at the Twin Cities Book Festival tomorrow. Pick up a copy there. You can also order it online.